San Francisco, April 15 (IANS) Democratic presidential candidate Senator Kamala Harris, who is of Indian and Jamaican descent, has released 15 years of her tax returns, showing that she and her husband earned almost $1.9 million in 2018, the media reported. The returns released on Sunday showed most of the adjusted gross income of $1,884,319 in 2018 reported by Harris came from her husband Doug Emhoff’s earnings as a lawyer, reports The Washington Post. 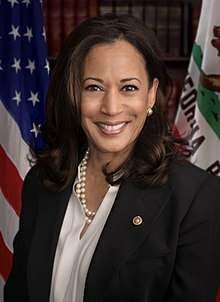 Harris’s income has been relatively consistent since she began serving as San Francisco’s top prosecutor in 2004, then as attorney general from 2011 until 2017, the year she joined the US Senate. Harris’s household income places her in the upper tier of candidates who have shared their returns so far, The Washington Post reported. Warren’s 2018 returns revealed roughly $900,000 in combined income for her and her husband. Gillibrand’s filing included her $167,000 Senate salary and $50,000 in book proceeds. Klobuchar released her tax returns through 2017, and reported less than $300,000 in combined income for her and her husband that year. Inslee’s 2018 return reported an adjusted gross income of $202,912.